Work-related stress is the adverse reaction people have to excessive pressure or demands placed on them at work. There’s a clear distinction between Pressure and Stress. Pressure can be a motivating factor and enables staff to productively get their job done. However, Stress can occur when these pressures become too much for the individual to handle. Why should employers be concerned about Stress? Employers have a legal and moral duty to protect the health and safety of individuals that they employ or other people that enter their premises. The staff absence and loss of productivity because of work-related stress has a financial impact on the business. Stress-related illness resulted in nearly 11 million working days lost in 2011/12, with an average of 27 days absence per case. 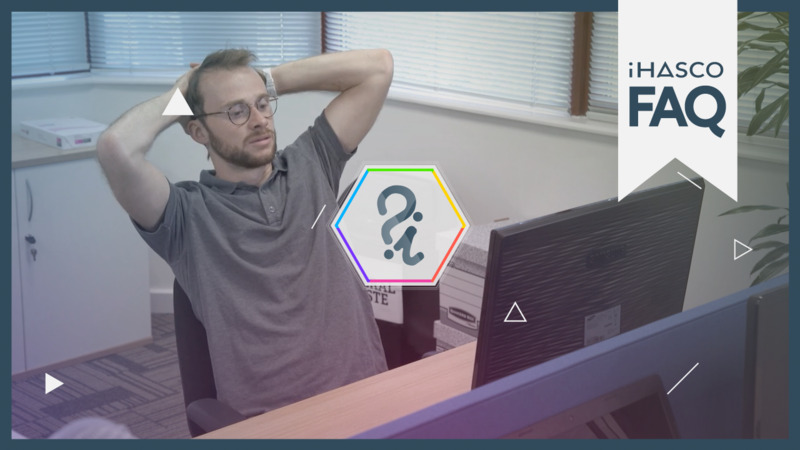 Stress has an adverse reaction on staff performance and reliability, and staff retention – thus increasing costs through recruitment and training. Insurance premiums may increase and there may, in severe cases, be issues of litigation by those individuals who experience stress. So it's well worthwhile taking Stress and stress-related illnesses seriously and looking after the mental well being of your staff. For a simple solution, consider taking a look at our Stress Awareness course with a free 14-day trial. Employers have a legal and moral duty to ensure that their workers are not injured or made unwell because of work activities; and this includes mental illness. The Management of Health and Safety at Work Regulation, 1999 ensure employers have a responsibility to assess the risk of work-related stress or ill health arising from their work activities, and under the Health and Safety at Work Act 1974 to take measures to control those risks. Is Stress reportable under RIDDOR? No, purely because the causes of stress-related illness are usually extremely complex and specific to each circumstance. Issues of stress-related illness can be raised with the enforcing authorities (the HSE) and could result in an investigation. More information can be found on the free resources section of our website or on the HSE website. What steps should employers take to stop pressure turning into stress? If you identify the key areas that if not properly managed can lead to stress, you can compile an action plan and implement steps to prevent stress occurring. Demands – Are you asking too much from your staff, do they feel that they can say ‘No’ when asked to do something if they feel unable to cope with existing workload? Control – How much of an input do your staff have on the way they carry out duties, being asked to work a way that doesn’t suit can put undue pressure on individuals. Support – Do your staff feel that they can discuss concerns with you, do they get the support and encouragement that they need? Relationships – Are you made aware when work relationships fray or if workplace bullying occurs? Can your staff freely discuss this with you? Role – Do your staff understand what is expected of them, particularly when job roles change or new demands are placed on them? Change – Organisational change has an impact on all staff be it changes in duties, procedures or workload. Are staff informed of proposed changes and what they mean to them, are they well prepared for it? What should employees, department and line managers do to help? Familiarise yourself with the risk factors and risk assessment so you can contribute to discussions or plans and help to develop procedures. Help your employer by giving honest and accurate information via questionnaires or discussion groups when asked. Your employers will need this information when deciding what to do. Make sure you understand all the decisions made and the procedures that you need to follow should you feel there’s a problem developing. There's loads of information available on the HSE website and on the Free Resources section of our website. Through the evolutionary process the human body has been designed to react to pressure and stress, and as cavemen enabled us to escape dangerous situations. There are two hormones responsible for stress in our bodies, adrenaline and cortisol. Adrenaline is released into our bodies when we are in a stressful or threatening situation – it’s realised due to increases in blood pressure when our hearts beat faster in threatening situations. Your body responds in this way to all types if stressed because the adrenaline produced helps us have the extra energy required to fight or flight. If the stress faced is emotional the effects of adrenaline take longer to subside because you are not using the energy in one quick burst, and if the stress is prolonged you may be constantly tense in preparation to deal with the stress and never be able to relax. Stress can be detrimental to employees personal mental health and it is imperative for employers to understand work-related stress and be aware of the differences between applying pressure or causing stress. 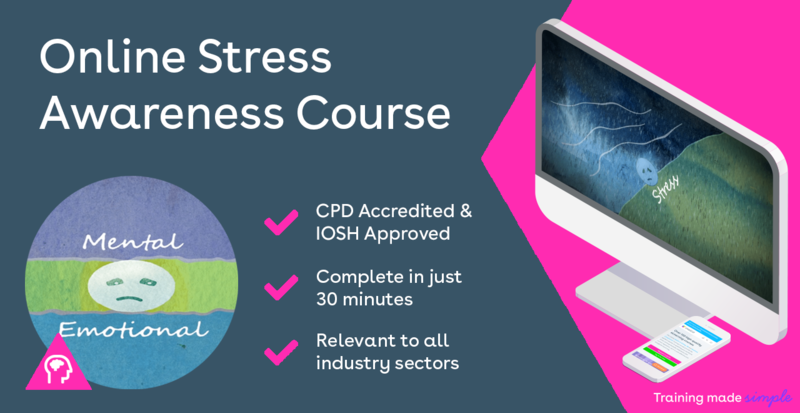 Our Stress Awareness Training is suitable for both employees and employers and touches upon how to prevent stress, how to recognise problems and how to stop pressure getting out of control.